Disclaimer: I had no idea what this movie wa about. Well, that basically applies to almost all the nominees for the best picture this year. Anyway, the only thing I knew about this flick was Matthew McConaughey lost tons of weight for this. Although that act is nowhere original (read: Christian Bale), it is always amazing. Can’t really argue with the dedication these actors have. 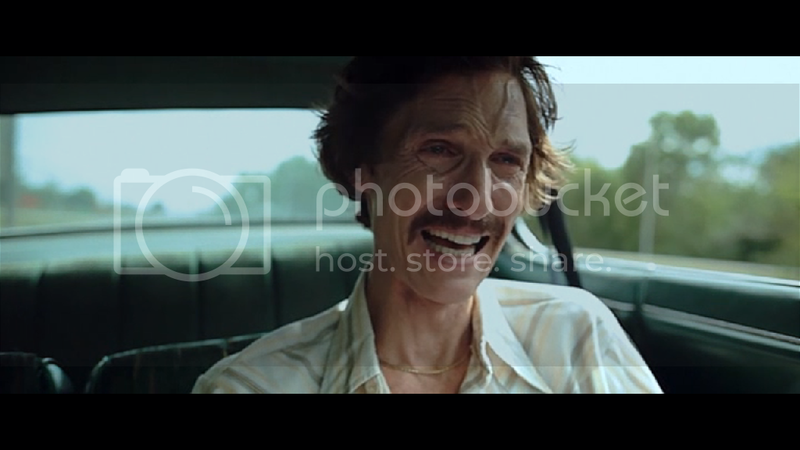 I was not emotionally prepared for Dallas Buyers Club. It was very entertaining, to say the least. This is the story of one homophobic man’s struggle against HIV in the 80s in Texas. No cliches there. The real reason to watch this movie is the acting. Good for Matthew for stepping out of the “jackass with great bod” stereotype. He was very, very impressive. He deserved the Globes win. He owned it. Jared Leto was also so increadibly good. He played a cross-dressing person with HIV. He made his character so endearing, yet open to hard struggles. My only disappointment was there was not enough of him in the movie. The ending was weak. There was no “I’m crying too much I can’t breathe” moment, which was a waste since Matt and Jared was beyond capable of pulling that off. I suggest you watch it, even if only for the brilliant performances by Matt and Jared. Bravo, gentlemen.